The creators of Alea have come together, dedicated to blending cultures and bringing something new to the Baja peninsula. Partnering in response to a growing demand for a sophisticated experience in Baja, the seasoned team of professionals delivers a bi-cultural understanding and proven capability to this unique project. With more than two decades of professional expertise, highly regarded partnerships and numerous successful past developments, the team remains at the forefront by building developments with reputable high end services, quality construction and a commitment to the Baja community. 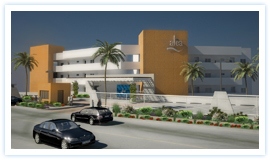 Alea Living’s combination of experts has extensive background building residential, industrial, commercial and mixed-use projects on both sides of the border. The team has been involved in the development of large-scale projects in Cabo San Lucas sized at $90 million and $150 million. The team has also supported the development of high-end custom spec homes in La Jolla, California as well as one of San Diego’s largest, most prominent projects, the North Embarcadero Visionary Plan. In addition, the team has structured, supervised, negotiated and concluded the sell of an income producing portfolio worth $12 million in the United States. Whether in Mexico or United States, the development team of Alea delivers a lifestyle and taste of both cultures, perfectly suited for homebuyers looking for a bi-cultural experience with a refined taste for living. As Director of Sales for northern Baja’s newest luxury residences, Mr. Gomez will manage all sales processes for the development. Having sold projects such as Village Walk and City Walk in downtown San Diego, as well as numerous developments in Southern California, Gomez has been instrumental in expanding several companies’ client portfolios due to his ability to implement strategies and provide clients with the market knowledge they need to efficiently execute the project’s sales and marketing programs. With the goal to maximize both customer satisfaction and clients' profits, Mr. Gomez is recognized repeatedly for high buyer retention achievements. Additionally, Gomez has earned numerous bi-annual and quarterly company-wide sales awards as well as San Diego Building Industry Association (BIA) quarterly awards and a Sales Professionals of the Year award in 2001. Prior to his position with Alea Living, Mr. Gomez was an International Resale Agent for Triwest Group. Widely-recognized as the first and most successful contractor in northern Baja, Hermosillo y Asociados Arquitectos, S.C. is a company formed by a group of dedicated professionals that offer design and construction services. Founded in 1962 in the city of Mexicali, Baja California, Hermosillo y Asociados has participated in construction projects of a wide variety in the States of Baja California, Baja California Sur, Sonora, Chiapas, Jalisco, Tamaulipas, Veracruz, Puebla, Aguascalientes, Nuevo Leon, San Luis Potosí, Chihuahua and Mexico City. Due to the company’s recognition and growth through the years, a second office was established in Tijuana in 1992, a third office opened in 2002 in the city of Monterrey, N.L. and in 2005 the company opened its fourth office in the city of Naucalpan, Estado de Mexico. Stewart Title Guaranty de Mexico S.A. de CV is a wholly owned subsidiary of Stewart Title Guaranty (STG), and the first and only Mexican title insurance underwriter licensed by the Comisión Nacional de Seguros y Fianzas of Mexico to issue title policies in Mexico. As the only Mexican title insurance underwriter, STGMEX has developed an unparalleled underwriting expertise covering Mexico’s unique title risks. Since 2001, STGMEX has been delivering policies crafted to address the intricacies of Mexico’s real estate law, while providing global customers with a familiar set of insuring provisions. Headquartered in Mexico City, STGMEX provides policies throughout Mexico to a wide range of customers including developers, lenders, real estate funds, and foreign investors. Since its inception STGMEX has underwritten the title to over $US 2 billion of real estate. Monday Group is a full-service, integrated one-stop shop marketing firm with a specialized vertical in real estate services. Monday Group knows the importance of understanding the emerging trends within the market and implements cost-effective campaigns that produce results for clients. Understanding that the mindset of the buyer changes with the market, Monday Group partners with clients and works closely to communicate a clear and direct message that educates the public, produce sales and creates buzz surrounding the project. From Lake Tahoe to Cabo San Lucas, Showplace Interiors has been decorating the west coast for nearly two decades. Directed by owner/designer Cathleen Shera, Showplace Interiors specializes in turn-key projects from the ground up. The experienced staff provides construction management, architectural consultation and fine acquisitions of furnishing, accessories, and art and the company carries unique carpets, exotic hardwoods and custom window fashions. Showplace Interiors embraces design to create ‘living interiors’ which clients will use and enjoy with satisfaction of function and pleasure of form. A subsidiary of Constellation Property Group, Constellation Hospitality Group is a hotel management and branding company. Constellation Property Group is a property development organization that combines the unique skills of experienced property developers, marketing specialists, financiers, and award winning architects, Marchese + Partners International to deliver extraordinary development solutions in Australia & the United States. Constellation Property Group acquires developable land from landowners. Solutions include entering into secure, uncomplicated "joint-venture" arrangements so that landowners realize the full potential of their land.